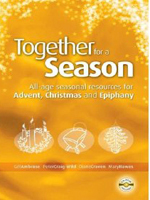 Together for a Season offers multi-sensory, imaginative and practical material for worship and group work with children and adults for the seasons of Advent, Christmas and Epiphany. 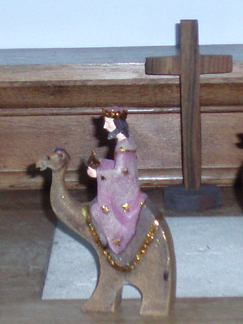 It suggests three pathways as a unifying theme for the season: Advent wreath, Crib and Jesse tree. 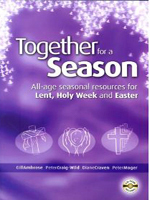 The book also includes All Age Services for Advent Sunday, Christmas, Epiphany and Candlemas. This second volume includes All Age Services for Lent, Palm Sunday, Good Friday, Easter Day, Ascension and Pentecost. In both volumes the material is based on the lectionary and on "Common Worship: Times and Seasons." The three pathways are the Lenten tree; Head, hands and heart and the Stations of the Cross. 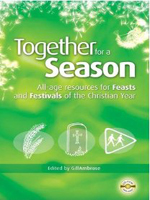 The third volume of the series offers creative and multi-sensory suggestions for the agricultural year including Harvest Festival and Creation and material for Remembrance – All Souls, All saints and Remembrance Sunday. It also includes "Following God's call" - offering material for feast and festivals such as John the Baptist, The Four Evangelists, The Conversion of Paul and St Michael and All Angels.